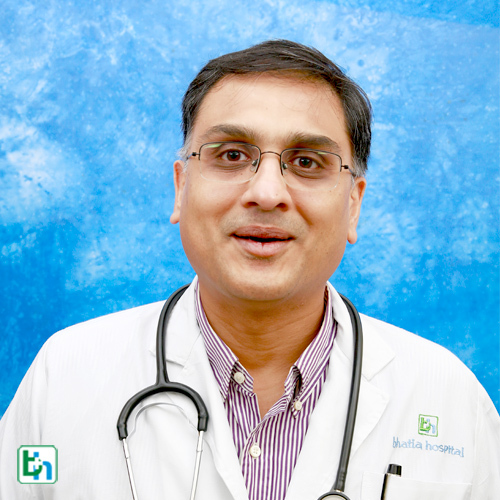 Dr Vinit Smdani is renowned in the field of Pediatrics with vast experience of more than 15 years and specialized in complex congenital and aquired heart diseases. M.B.B.S. (Bom) M.D. (Pediatrics) Fellowship in pediatric critical care (cardiac). He has a vast experience of more than 15 years. Completed a course in “Advanced Resuscitation in Children”, at KK Children & Women Hospital, Singapore, June 2005. Coordinator for Chicken Pox Vaccine Trial for Biocon, Mumbai, Dec 2004. Author of “Congenital TB Associated with Asymptomatic Maternal Endometrial TB”, published in Tropical Doctor, UK, January 2006. Author of “Superior Mesentric Artery Syndrome” published in India Journal of Pediatrics, India, June 2006, Volume 73, No. 6. Author of “Congenital Central Hypoventilation Syndrome” to be published in Indian Journal of Pediatrics.